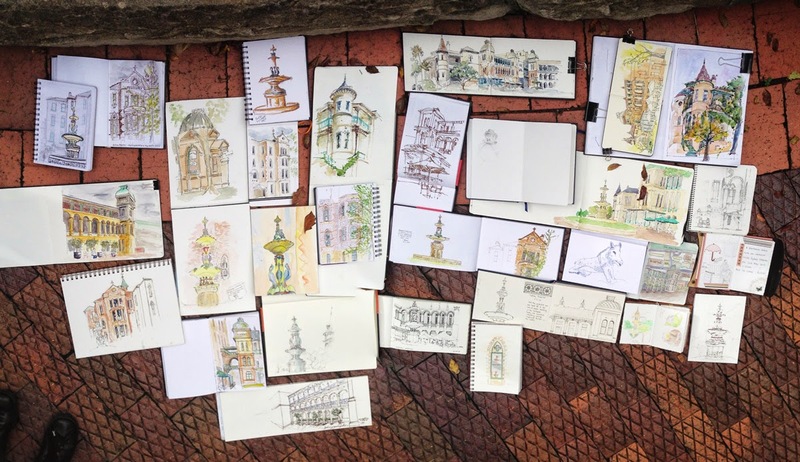 The Urban Sketchers Sydney events just seem to get better and better. 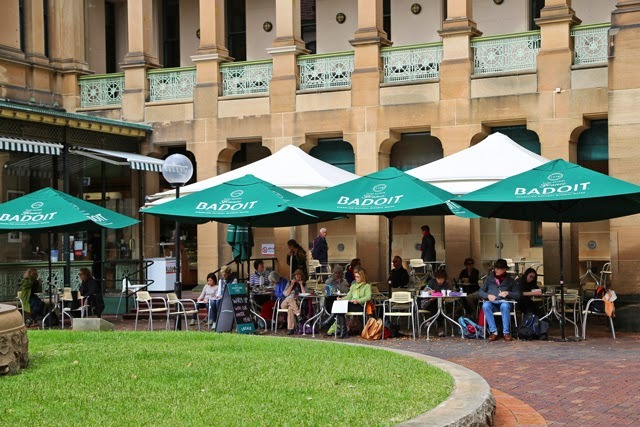 Despite Saturday's 'rain- heavy at times' forecast we had a fantastic turn up of 34 people to the Sydney Hospital courtyard.It is always great when we are all sitting together in the one area, so this courtyard was ideal. 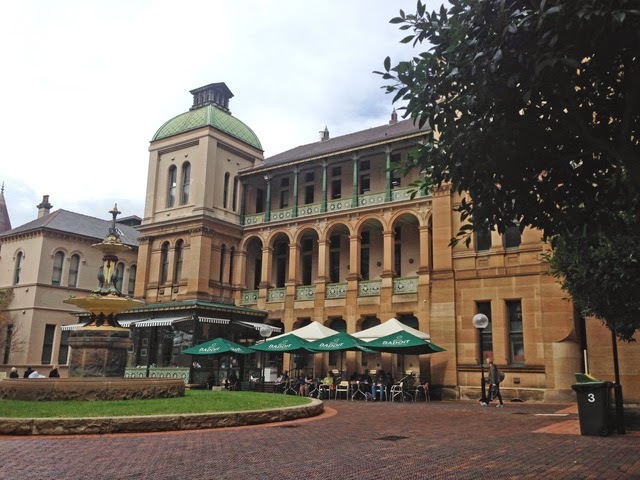 And a nice roomy cafe was a good base! Everywhere you looked, there were sketchers! Once again the work done by the group was amazing- so much variety even though we were all sketching the same thing. 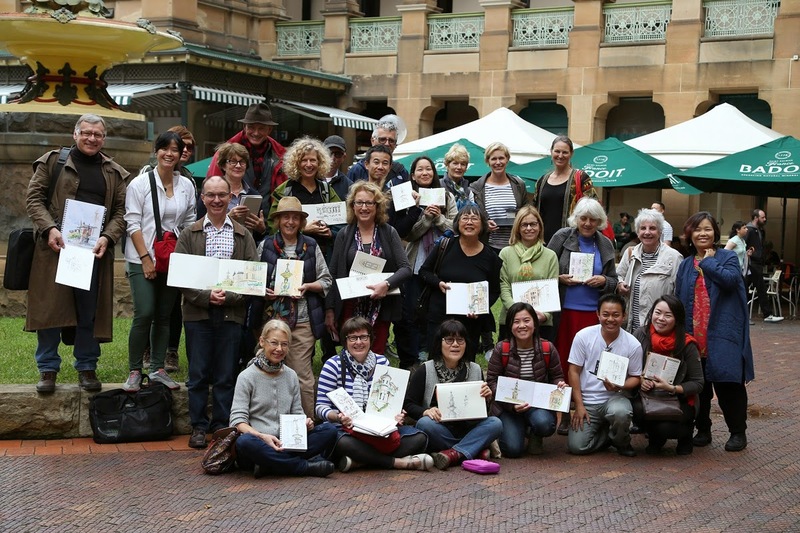 It was very special to have Cecily and Khim from the Penang USK group join us for the day. 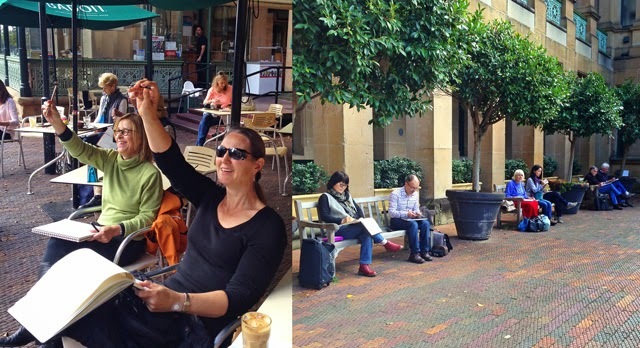 I love the way Urban Sketchers makes meetings like this possible!